We hope you are seeing a lot of #WEAAD on social media today. We must join in the efforts to raise awareness of Elder Abuse. There are many forms of elder abuse from financial exploitation to neglect to physical abuse. Georgia has made great strides over the last few years toughening laws to deal with the monsters that perpetrate these crimes. 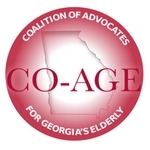 Please visit our Elder Abuse Prevention Page to read more and find links to resources.